After I stopped in this little shop in Plzen, I ate one of these while walking away, then turned around and went back and got another. 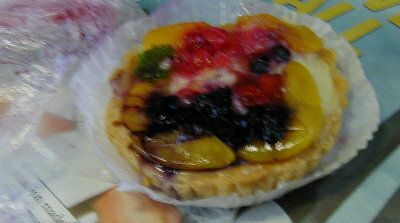 It's got every kind of fruit, peaches and berries, a buttery, crunchy crust and a light, sweet custardy inside. This is one of those times where I bit into something and tears came into my eyes. It was about 45 cents.